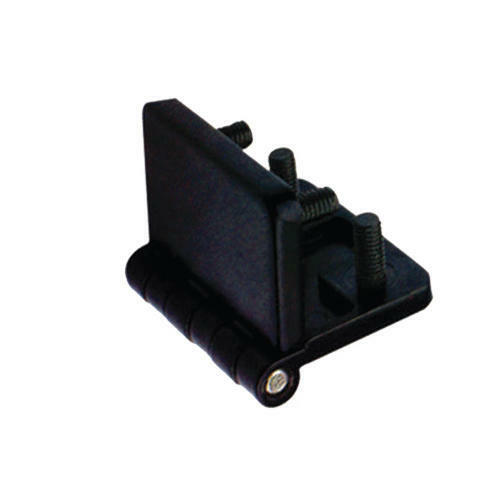 Our name is enlisted amongst well known manufacturer and supplier of broad range of Zinc Die Cast Hinges. We offer them in both big and small sizes. These products are available in customized sizes as per the order of the customers. Our products find application in electrical industry, hardware industry, and in many more industries. We offer them to our clients after testing them to adhere to recommended specifications. Our partnership business entity, N-Rack Accessories was established in the year 2000 at Vijayanagar, Bengaluru, Karnataka, India. We are engaged in manufacture and supply of Concealed Hinges, Door Hinges, Three-Point Locking System, Rubber Gaskets, Canopy Locks, Handle Locks, Panel Locks and many more. All our products are developed with extreme precision. Immense appreciation has been gained by our firm from clients due to our endeavor of offering products in accordance to their specified demands. We outsource our supplies of raw materials & components from trustworthy market vendors who hold reputation of delivering the high grades of materials. The partner of the firm, Mr. B.S. Shetty has very ably guided the activities to progress and prosperity due his sharp business acumen and continuous inclination towards providing standard quality products.